It was with great sadness that I learned yesterday of your sudden departure from this world. Just weeks ago we were together on the festival tour in Poland. I considered it special mercy that you had joined us and that we could have your extended association for some time. 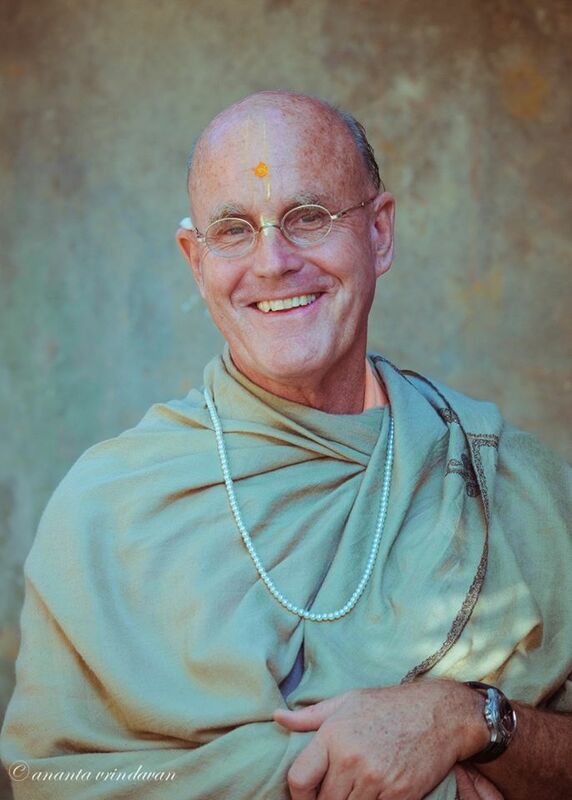 As always, I listened in amazement to your deep and philosophical morning Bhagavatam classes, and marveled at how you touched the hearts of so many conditioned souls with your preaching at the evening festivals. Long ago I concluded that of all my godbrothers you gave the best discourses on the scriptures. I could listen to you for hours! Whenever I visited Vrindavan I would ask your son, Gaura Mohan dasa, to give me recordings of all the classes you had given throughout the year. I will greatly miss your preaching which gave me deep inspiration to spread the glories of the Holy Names far and wide. I feel very lonely today. Several times I have hidden myself from the devotees and cried. It is rare to meet such an exceptional soul as you. Often we only appreciate someone in full after they leave, but I fully appreciated you from the first day I met you. I feel very fortunate to have been a recipient of your mercy, and I will continue to listen to your discourses until the day I myself leave this world. I don't know if I'll be fortunate enough to die in Sri Vrindavan Dhama, but even if I don't I feel I can still reach the supreme abode by following in the footsteps of illustrious godbrothers like you who so expertly serve the mission of our spiritual master in this world. As you were leaving the Polish festival tour a few weeks ago, you vowed you'd return again. Of course it's not possible now, but my humble prayer is that we'll serve together again, perhaps in some future life or best of all eternally at the foot of Govardhana Hill in the spiritual sky, far beyond this temporary world of birth and death.